The prestigious Russian real estate website www.best-100.ru has recognized Technopolis as one of the 100 best office and shopping centers in Russia. The award was initiated by the Guild of developers and property and facility management companies of Russia and was given on June 10, 2016. 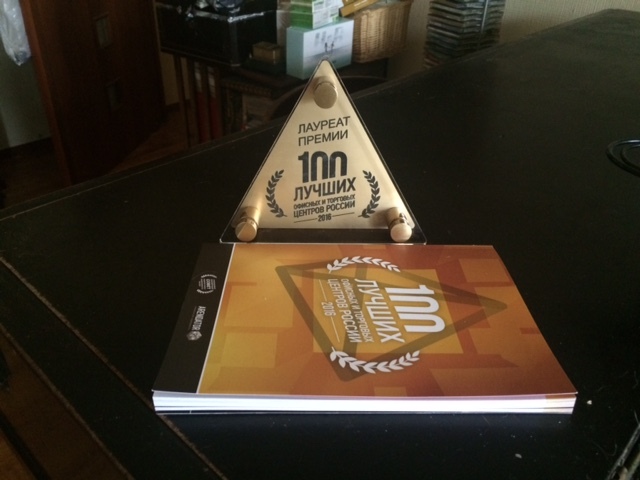 The Guild decided to present the 100 best projects of the last ten years in order to provide the standards of quality for commercial real estate market in Russia. It is an attempt to evaluate ten years of market development and to mark the main achievements. The organizers of the Guild praised Technopolis for its comprehensiveness: “Technopolis broke into the office market due to their excellent service package, quality, five star attitude and flexibility”. “Technopolis has brought excellent professional experience on the Russian market. It starts from the construction stage and continues to the service environment that supports human values and modern ways of living”, says Elena Afinogenova, Director of Technopolis in St. Petersburg.